Depression is a disorder that causes overwhelming feelings of sadness, despair, or anger with symptoms lasting anywhere from weeks to years. Depression can be caused by genetics, hormones or stressful life changes. It is important to learn the symptoms and when to get help. It can be a challenge to know if your teenager is experiencing the typical ups and downs of adolescence or if lingering negative feelings are signs of depression. Depression is one of the most common mental health problems in the United States—as many as one in eight teens suffer from depression. It’s expected that teens have occasional bad moods or go through short difficult phases. However, depression is a disorder that causes overwhelming feelings of sadness, despair, or anger. It often lingers for weeks, months, or even longer and interferes with a person’s ability to function normally. Typically depression exists because of a number of factors. Genetics plays a big role as depression runs in families. But depression can also be a result of major, stressful life changes—a death in the family, a divorce, moving, chronic illness, or even a breakup in a relationship. Teens can also become depressed from dealing with the stress that is common during adolescence or from changing hormones. 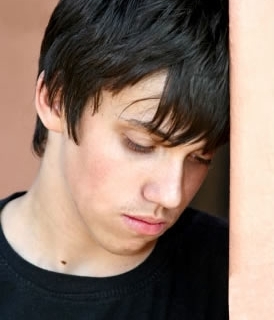 Reckless behavior, violence, problems at school, drug and alcohol abuse, internet addiction, and low self esteem are often exhibited with teen depression. Teens who are severely depressed may think about, speak about, or make attempts at suicide, which should be taken very seriously and addressed right away. You will want to look for immediate help from either a suicide helpline, your pediatrician, or a mental health service. Do not leave your child alone and remove any access to guns, medications or other possible weapons. Teens with depression often have a feeling of hopelessness or the feeling that life is difficult and nothing is worth the effort. It’s important to have your child evaluated professionally for an accurate diagnosis. Below are some of the warning signs of teen depression. If your teen has five or more of these symptoms for two weeks or longer, we recommend taking action – talk to your child and doctor. Be persistent in a gentle way. Don’t be surprised if a depressed teenager tries to shut you out. Be respectful, but express your concern and willingness to listen. Acknowledge and validate the feelings. Even if the reasons for the depression seem trivial, acknowledging the pain and sadness will help your teen feel understood. Offer loving support. Let your child know that you are there to provide support. What should I do if my teen seems depressed? If you suspect your child is suffering from depression, consult with your pediatrician. Pediatricians will be able to help rule out physical illness and may refer your child to a mental health professional, such as a psychiatrist, psychologist, or social worker. They will be able to perform a complete evaluation and create a treatment plan that may include counseling, medicine or both.